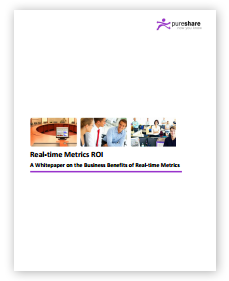 Huge business benefits can be quickly gained with this unique approach to real-time metrics and performance management. A twenty percent improvement in performance overall is typically achievable with the targeted implementation of consolidated, real-time metrics management capabilities. This and other related benefits as described in the following paper can provide significant and positive impact to your business.